Braun 3040 vs 3080: Which One Should You Choose? 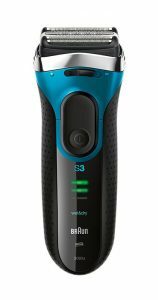 The Series 3 line of electric shavers from Braun is without a doubt one of the most compelling offerings in the entry-level segment. Among their strongest assets we can name the very good performance for the money, low running costs and solid build quality. The 3040 and 3080 are two of the most popular models from the refreshed Series 3. They are suitable for wet & dry use and share a lot of similarities, but they’re also different in certain regards. In this Braun 3040 vs 3080 analysis we’ll find out exactly what these differences are and which one should you buy. 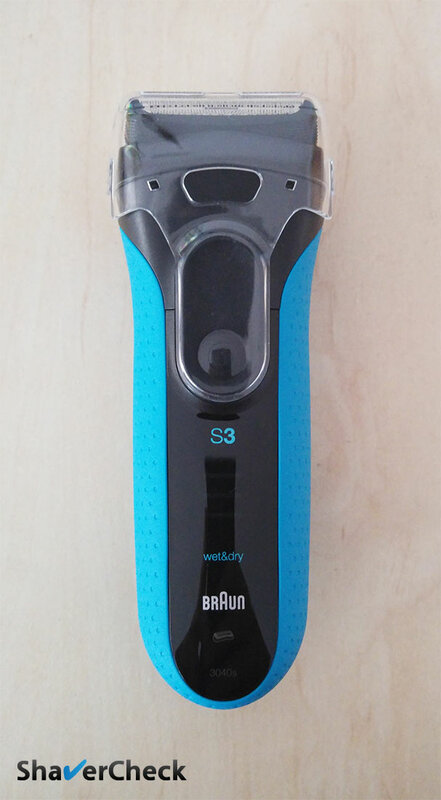 Note: Braun officially calls these two shavers ProSkin 3040s and 3080s, but for some reason lots of online retailers simply refer to them as 3040 and 3080. The takeaway is that they are the exact same shavers, regardless if they’re being referred to with or without the s.
First, it’s important to note that the performance of the Series 3 razors is identical throughout the whole line. They all use the same shaving head and will provide the same results in terms of closeness and comfort. So the 3080 is basically a 3040 with some minor design alterations, a travel case, a charging stand and a foil locking mechanism. Let’s address each of them. The 3080 is mostly black with a dash of blue, while it’s the other way around for the 3040. The 3080 also features a chrome finish around the shaving head instead of the glossy black found on the 3040. No clear winner here, but I do admit that the 3080 looks a bit more stylish. 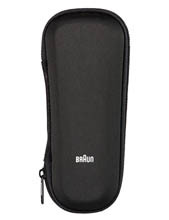 In case you want to use your Series 3 for traveling, Braun has decided to include a travel case with the 3080 and a protective plastic cap with the 3040. The Series 3 3040s with the cap on. No, you won’t get a cap for your 3080. Just like you won’t get a travel case with the 3040. A travel case is a welcome addition, but it really seems odd to me that Braun decided not to include a plastic cap for the 3080 as well. Yes, the travel case is hard and sturdy and will probably provide adequate protection. But the foil is very sensitive to mechanical shocks and it’s always a good idea to use a protective cap, not just when you’re traveling. 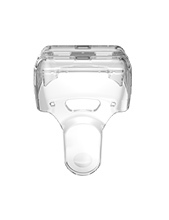 I think I would actually prefer a plastic cap for my shaver as I can always buy a compatible travel case later on. I will say it right off the bat, I was never fond of these stands and consider them to be just a redundant extra item. The charging cord can be also plugged directly into the 3080, so it’s not really necessary. I personally wouldn’t consider this feature to be a decisive factor in choosing between the 3040 and the 3080. This would normally be a very useful feature in the case of an advanced electric shaver with a large and comples shaving head. But here, not so much. 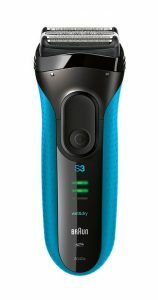 The shaving head of an advanced shaver, like the Series 9 or Panasonic Arc 5 can move sideways, back and forth, up and down. 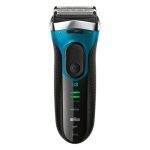 This, along with the fact that the shaving head is large and bulky, make shaving tricky areas difficult. And here is where a locking mechanism comes in handy. 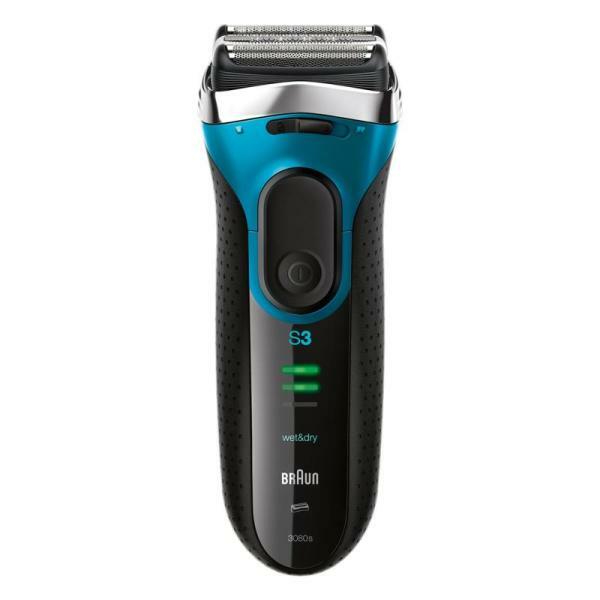 With the Series 3, we deal with a very basic shaving head, one that doesn’t tilt or move; and it’s also quite slim. 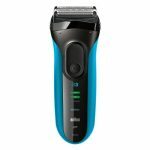 The precision locking mechanism on the 3080 retracts one of the finishing foils to make the head even slimmer for shaving difficult spots like the area under your nose. Having used the 3040, I can’t really say that I had any troubles with it; the precision mode on the 3080 is nice to have, but again, in the case of a simple and compact shaving head like the one used on all Series 3 shavers, the benefits are probably minor. Considering the aspects presented above, choosing one over the other should come down to a single factor: price. While the manufacturer’s suggested retail prices for the two are very similar, you can often find either of them on sale with massive discounts on sites like Amazon.com. For example, the 3040 can sometimes be bought for less than half the price of the 3080. In this case, the decision should be extremely simple, with the 3040 representing the better option. Again, the actual shaving performance of the two will be the same. If the price difference is negligible, you can go for either of them. You do get more stuff with the 3080, even though the lack of a protective plastic cap is in my opinion a minus. At least specs wise, the 3080 is the slightly superior product and that can be an argument in its favor. However, the Series 3 Proskin 3040 is more likely to be found at a better price and therefore it would be my pick of the two. You can also read my in-depth review of the 3040 here. Home » Articles & Guides » Head to head » Braun 3040 vs 3080: Which One Should You Choose? Where can I buy a Protective Cap for Braun 3080 please ? There are a few online shops that sell it, like this one or this one in the UK. It is is a little different than the original included with the 3080, but it appears to be compatible. What is the difference between the series3 380s-4 and the series3 3040s-4? It’s the same head? Yes, they have the same shaving head. Performance-wise, I’d say they are the same. 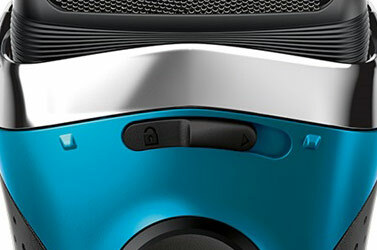 The 3040s is newer and comes with a slightly revamped design and color scheme. The 380s-4 has a precision lock (just like the 3080s), but it doesn’t make that much of a difference. I would simply buy the one that I can find for less money. The powerfull is the same? Yes, both are exactly the same. 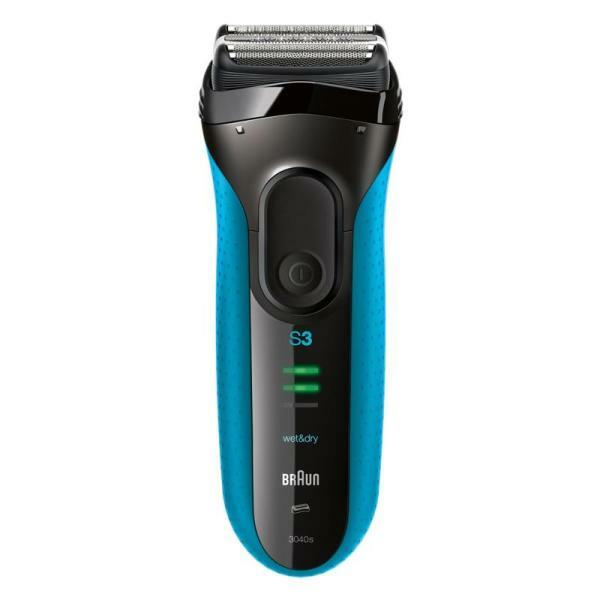 Both the 3040 and 3080 are fitted with a hair trimmer. Ovidiu, many thanks for such a clear and comprehensive analysis which was perfect for me. I am now the proud owner of a 3040 which I find to be an excellent razor. That’s great, thank you for the kind words. I’m glad you found the information useful. Oh and by the way, I just ordered a totally compatible travel case from AliExpress for $7.55 including delivery. It might take a couple of weeks but it’s about the right price. Would the 3080s with a cap bought in addition still fit into the original case? Also, can the charging cable be packed into the case together with the shaver? Thanks! The shaver will most likely fit into the case with a cap on, but the charger will not. You’ll have to buy a third party case like this one to accommodate both the shaver and the charger.